I’ve got a nickel that says you are probably undertaking a Population Health Initiative. Everyone else in the world is so it’s safe to say you are as well. As the Qlik Healthcare team travels the globe we’ve seen 3 common factors that impede most folks. Data is Everywhere – There are so many publicly available data sources to pull from. The problem is that there are too many 0’s and 1’s and it’s hard to deliver a comprehensive view. If you can get that the next issue quickly becomes how to you utilize that comprehensive view to find the members/patients that are most at risk. Finally how can you track the efficacy of the numerous community-level programs to find out if your time and resources are having the greatest impact. The problem is that there are too many 0’s and 1’s and it’s hard to deliver a comprehensive view. I guess I should slow my roll a bit … as I may not get a nickel from you as very well may never even heard the term “Population Health.” Like with many things it’s the kind of phrase that is easier to define by describing what it’s not. It’s the opposite of the sickness care that is now practiced in many areas of the world. You know what I mean. You have a medical problem so you go and have that problem treated then you go back to your unhealthy lifestyle. At the core of Population Health is the notion that it’s far better to practice the things that will keep you healthy instead of treating the consequences of poor choices. For a diabetic it might mean keeping regular appointments and monitoring sugar. For pre-diabetics it might mean, this is crazy, changing their diets before having to deal with the severe consequences in terms of sickness and finances of becoming diabetic. It means getting checkups for colon cancer, breast screenings and so on. In an ideal world every single person on the face of the earth would eat healthy, exercise, have no stress and live 2 minutes walk from a physician. They would be a lot healthier and it would cost a whole lot less to treat them. 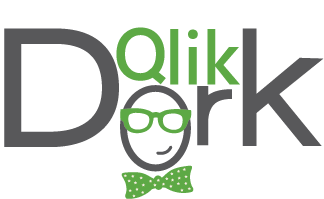 Unfortunately Qlik Dork’s universe doesn’t exist. The universe we live in has it’s complications. Other stuff comes up and “health” isn’t a priority, or there are factors that prevent people from being as healthy as they would like to be … hence the need for Population Health. I would suggest at it’s core you think of the simple fact that the very term “Health Care” is totally incorrect. It’s Sickness Care. We don’t have “Health Insurance” we have Sickness Insurance. A recent study revealed that up to 90% of patient risk is directly attributed to social determinants of health, individual behavioral patterns and genetics. I would suggest at it’s core you think of the simple fact that the very term “Health Care” is totally incorrect. It’s Sickness Care. We don’t have “Health Insurance” we have Sickness Insurance. We don’t have “Electronic Health Records” we have Electronic Sickness Records. If we can’t distinguish between those things we probably aren’t going to truly be “healthy. Once we understand the difference between Health and Sickness then we can look at other Social Determinants of Health. The things that keep people from being healthy. In my previous post: Visualizing Population Health I introduced the absolute basic social determinant of health outside of vocabulary … basic drinking water. I wrote that post to help everyone see immediately that there are conditions regarding the environment that a person lives in that can dictate their health. And that correcting SDOH can be far less expensive than treating the sicknesses that result. Felt compelled to go there before you mocked me for the SDOH that is primary in my life. The total lack of sidewalks. You see walking and listening to music is a huge destresser for me and as you know walking is just flat out good for the human body. But living off a rural highway with no sidewalks puts my life at risk when I walk. Jumped right from basic drinking water to a middle aged, middle income issue. That’s the point of SDOH they effect everyone … including me and you. When I visited the Qlik office in Sweden I was shocked and impressed to see that their sidewalks were more like roads themselves. They had lanes just for biking and lanes just for walking. EVERYWHERE I went. They believe in walking, riding bikes and it shows. The lack of belief in walking and riding bikes surrounds me nearly everywhere I go in the United States. Why? Because so many still believe that sickness care is valuable, but health care isn’t. Good news is that the County Health Rankings documents a score for Walkability so that should I decide to move I will certainly choose an area of the country that demonstrates it’s believe in caring for ones health before becoming sick. Of course they also document so many more. They aren’t the only publicly available data source for SDOH another popular one is the CDC’s Social Vulnerability Indicators. These sources and others like them provide data that let’s you begin understanding “how” your patients/members are living not just where they live. They can also help you see the areas where your patients/members may be at the most risk. Another SDOH is absolutely air quality. Living in Hotlanta I deal with allergies about 75% of the year due to 8 gajillion varieties of pollen. Nuisance headaches, tired feelings … beyond my control totally environmental. What about what it gets worse … when it effects people with asthma? My mother grew up in a coal mining town and is now dealing with the last stages of COPD. Totally beyond her control. What about hidden and very dangerous SDOH. Lead paint. Lead pipes. Asbestos. Carbon monoxide. Radon. What about crime? Would you consider that a social determinant of health? What about the lack of cars in a family? Is that something you would consider a social determinant of health? Hard to pick up that prescription that was handed to you if you are in a taxi and it will cost $50 + to sit and wait 20 minutes at the pharmacy. What about the inability to speak a native language? My wife and I have had occasion to visit Pharmacia’s while traveling the world. What if they don’t understand us or we don’t understand them and take the wrong thing? What about a basic misunderstanding or complete lack of education on things as fundamental as hand hygiene? How about fundamental health issues as they change over time? I’ve recently be doing data science research on comorbidities and discovered that Vitamin D deficiency is linked to a number of serious problems (I’m not a clinician so I had no idea. But data science doesn’t lie so I know now.) Fortunately my wife has a phenomenal PCP who got her onto Vitamin D supplements awhile back. But what about those woman in society who haven’t been told about that or a myriad of other issues and instead face consequences of those illnesses? The lists go and on of these things that in most cases are way beyond anyone’s choices of things they are forced to live with which cause negative impacts to their health. Regardless where on the socioeconomic scale you are, SDOH effect us all. Seriously with a lack of education, lack of communication, lack of interoperability between practices and the abundance of commercials promoting the wrong things … what do you really expect our “health” to be. I would love to be able to purchase true HEALTH INSURANCE but unfortunately I can’t. My sickness insurance kicks in only once I’ve become sick. There are many many people out there working diligently to bring SDOH to the forefront. I follow #SDOHImpact driven by Mandi Bishop on Twitter who daily drives the issues home in a way that anyone can understand. If your appetite has been wet to dig in jump on board. Physicians like Dr. David Nash and Dr. Fred Goldstein pouring the life work into helping others realize that it’s not only cheaper but better to look at the “HEALTH” of a population as something that should occur prior to issues arising and treating their sickness. Lots and lots of resources. Lots and lots and of data available. Which sort of brings it back to my opening … The problem is how can I possibly consume it all in a way that actually provides insights. Lists of of data in Excel don’t translate well to peoples minds. I’m about to do something totally crazy, kind of like what you would expect of the Qlik Dork, I’m going to suggest that the answer to consuming all of this Population Health and all of this SDOH data lies within a 7 Layer Chocolate Cake. I’m going to suggest that the answer to consuming all of this Population Health and all of this SDOH data lies within a 7 Layer Chocolate Cake. If you will indulge me for a moment I’d like to suggest that the answer lies within a 7 Layer Chocolate Cake. It’s a chocoholics dream because instead of just 1 chocolate taste, it lights up every single one of the gajillions of taste buds in their mouth. I think the same is true for consuming data. If I can layer multiple types of data together then it lights up every single one of the gajillions of triggers in our brains. Like a chocolate pastry chef in the world’s finest pâtissier, Qlik GeoAnalytics can create as many layers as the taste buds in your brain can consume. You want to visualize your members/patients add them. You have the taste for Social Determinants of Health pour some in. Need a nice ganache on the top? Carefully layer on a live source of air quality data. Getting hungry yet? Me too so I better move on. You see knowing that zip code 12345 has terrible living conditions is 1 thing, but seeing your patients/members living in that zip code brings the data to life. Seeing your patient/member in an area that is 32 minutes from the nearest pharmacy tells a different story than just plotting them on the screen. Once the data starts being visualized together, in unison, you begin seeing HOW your patients/members are living and not just WHERE they are living. You begin seeing and understanding their HEALTH RISKS prior to dealing with their SICKNESS. In my, perhaps geospatially jaded, mind I believe that the single best way to really drive home the points of Population Health and of Social Determinants of Health is to paint a vivid layered portrait of the data on a map. Working on the Qlik Healthcare team is an amazing opportunity for a coffee bean like me because I get to see “health” care from a global perspective. I get to consume data from sources around the world and you know I love consuming data. And boy did I put some data on the barbie working with this Australian Census data. 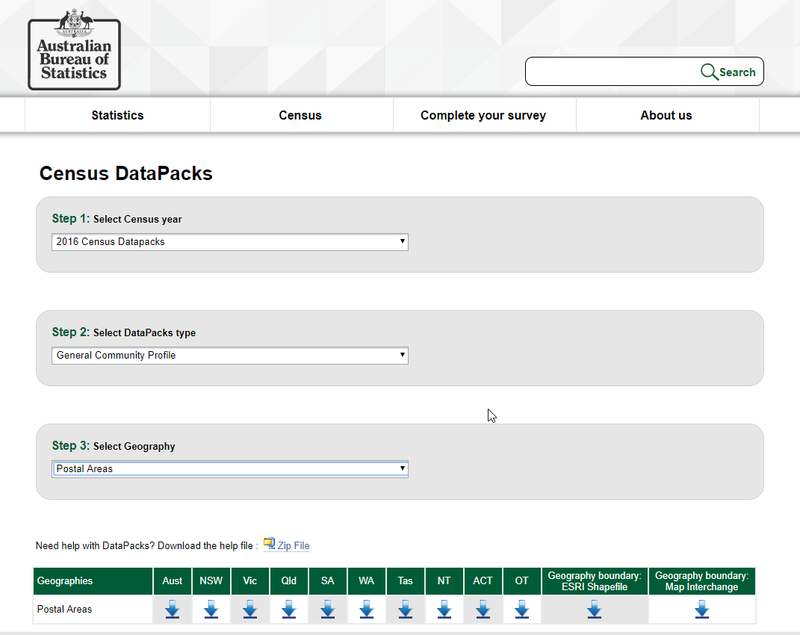 Gotta tell you the Aussies are serious about their Census SDOH data. To the tune of 8,492 COLUMNS of data. Capitalized the word column so that you would know it wasn’t a typo of the word rows. Seriously 8,492 different columns for the Qlik Dork to consume. My style is to be comical, but don’t let that fool you … Visualizing Population Health from a Global Perspective is not a game to me. I began by suggesting that one of the serious issues is that there is to much data. How would you possibly go about visualizing data from 8,492 columns of data. This 8 minutes just might be the best 8 minutes you ever spend. Enjoy! 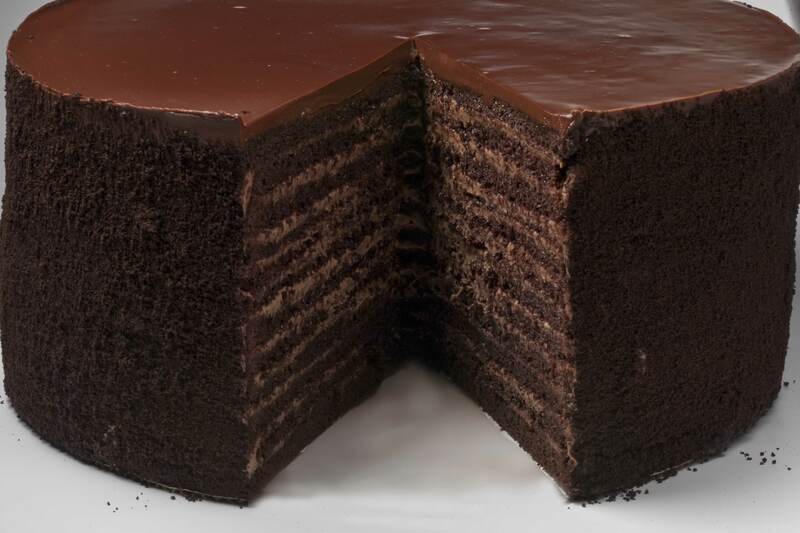 PS – Yes I’m aware that my image was a 24 Layer Chocolate Cake. Kind of proves the point that the Qlik Dork loves his chocolate and always wants to consume more layers of data than the average data junkie. This entry was posted in Geo Analytics, Population Health and tagged Australia, CDC, Census, county health rankings, data consumption, David Nash, Fred Goldstein, geospatial, interoperability, Mandi Bishop;, mapping, Population Health, Qlik GeoAnalytics, sdoh, social determinants of health, SVI. Bookmark the permalink.